Nearly 500,000 Purple Heart medals were manufactured in anticipation of the casualties resulting from the invasion of Japan. To the present date, all the American military casualties of the sixty years following the end of World War II—including the Korean and Vietnam Wars—have not exceeded that number. In 2003, there were still 120,000 of these Purple Heart medals in stock. There are so many in surplus that combat units in Iraq and Afghanistan were able to keep Purple Hearts on-hand for immediate award to wounded soldiers on the field. 17th century Europe was an era of emerging luxury in which status was often defined by the one's ability to conquer the wild and take control of its beauty. In order to display ones wealth, a flower collection was needed. Like anything within a society, the value of flowers was decided by rarity, which due to a strange sequence of events created a brief moment when tulip bulbs were counted amongst the most valuable objects on earth. Tulip cultivation in Europe was started in the Netherlands around 1593 by the Flemish botanist Charles de l'Écluse, who had received a collection of tulip bulbs as a gift from the Ottoman Empire. Tulips grow from bulbs, and can be propagated through both seeds and buds. Seeds from a tulip will form a flowering bulb after 7–12 years. When a bulb grows into the flower, the original bulb will disappear, but a clone bulb forms in its place, as do several buds. Properly cultivated, these buds will become bulbs of their own. Certain color varieties like striped tulips could only be grown through buds, not seeds, and so cultivating the most appealing varieties took years. Tulips bloom in April and May for only about a week, and the secondary buds appear shortly thereafter. As the flowers grew in popularity, professional growers paid higher and higher prices for bulbs. By 1634, in part as a result of demand from the French, speculators began to enter the market. In 1636, the Dutch created a type of formal futures markets where contracts to buy bulbs at the end of the season were bought and sold. This trade was centered in Haarlem during the height of a bubonic plague epidemic, which may have contributed to a culture of fatalistic risk taking. The contract price of rare bulbs continued to rise throughout 1636. At its zenith, a single tulip bulb was valued at the equivalent of $400,000. However in February 1637, tulip bulb contract prices collapsed abruptly and the trade of tulips ground to a halt. An antipope is a person who, in opposition to the one who is generally seen as the legitimately elected Pope, makes a significantly accepted competing claim to be the Pope, the Bishop of Rome and leader of the Roman Catholic Church. At times between the 3rd and mid-15th century, antipopes were supported by a fairly significant faction of religious cardinals and secular kings and kingdoms. The Western Schism—which began in 1378, when the French cardinals, claiming that the election of Pope Urban VI was invalid, elected Clement VII as Pope—led to two rival lines of claimants to the papacy: the Roman line and the Avignon line (Clement VII took up residence in Avignon, France). 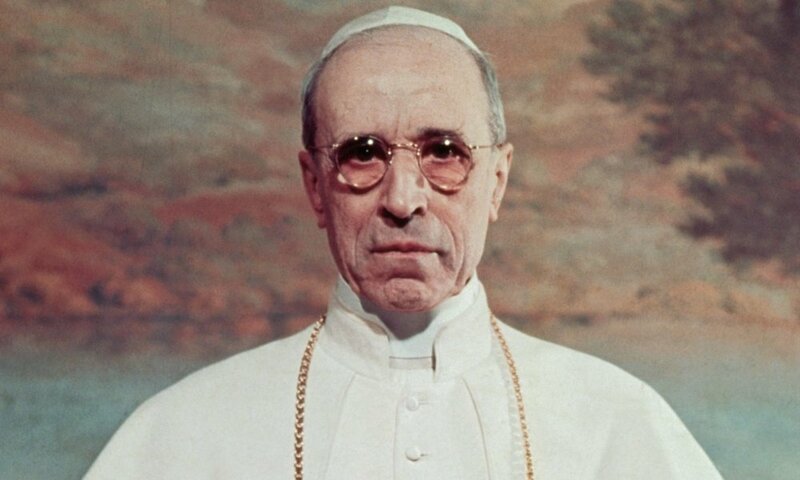 To end the schism, with the support of King Sigismund of Germany, a special Catholic council was created to force the competing popes to abdicate, so that another could be chosen. In May 1415, the Council of Constance forced Pope Gregory XII of the Roman line to resign in July 1415. In 1417, the Council also formally deposed Benedict XIII of Avignon, but he refused to resign. Afterwards, Pope Martin V was elected and was accepted everywhere except in the small and rapidly diminishing area that remained faithful to Benedict XIII. The scandal of the Western Schism created anti-papal sentiment and fed into the Protestant Reformation at the turn of the 16th century.